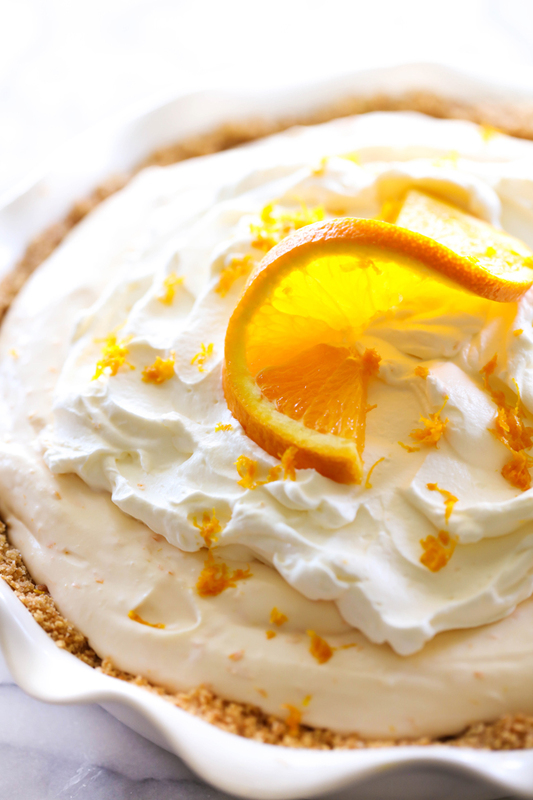 This Orange Creamsicle Pie is such a delightful summer treat. It is light in texture and has such a refreshing flavor. In the meantime, we have had several family reunions and gatherings in the past month. 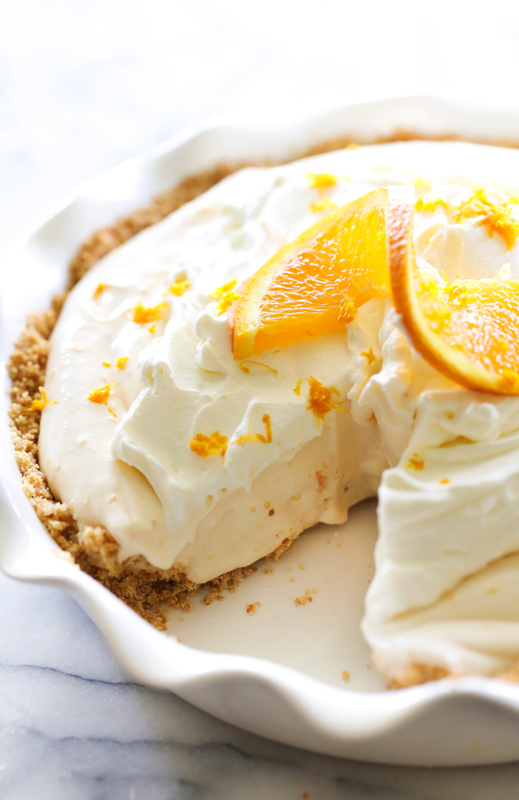 Good food is always a must when my family gets together and this Orange Creamsicle Pie was a perfect addition to the menu! It is light and fluffy in texture and has such a refreshing delicious flavor. The vanilla wafer crust is perfection and pairs perfectly with the creamy pie. If you need a great summertime treat, give this one a try! It is sure to be a hit! Blend vanilla wafers in a food processor until it is crumbled into fine crumbs. In a small mixing bowl beat heavy cream for two minutes, and then add powdered sugar and beat until stiff. Set aside. In a large mixing bowl, combine cream cheese, sweetened condensed milk, orange juice and orange zest. Beat in high until creamy and smooth. Add orange food coloring if desired. Fold in the set aside whipped cream mix until blended. Spread over the top of pie filling. Is it lemon zest or orange zest? You list lemon zest as an ingredient yet reference orange zest in the instructions. Ohhh yum, cannot wait to try this out! Thank you! This is the best pie ever for summer or anytime! I made it this weekend and everyone raved about it! A MUST to make. Thank you Nikki! My husband and I loved every one of your recipes that I made!! !